10 uses for essential oils apart from just diffusing them! 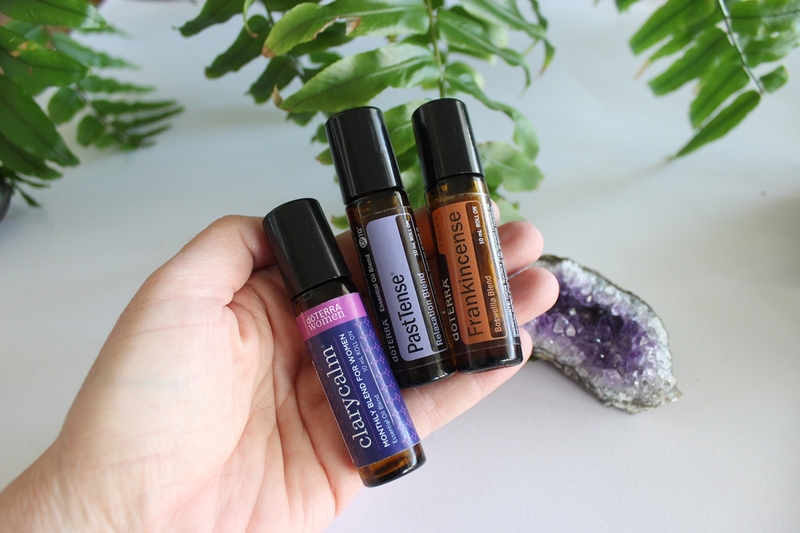 In my Facebook group last week I was sharing some cleaning recipes and some other uses for how I use my essential oils. A lovely lady said she really needs to do more with her oils apart from just diffusing them! I said yes you do! If you started with a Home Essentials Kit, then you would have 10 oils and a diffuser too, but instead of JUST diffusing the oils, you can do sooooo many more things with them. Add a few drops of Frankincense to your moisturiser or fractionated coconut oil along with Copaiba to reduce the appearance of blemishes and to rejuvenate the skin. Take one to two drops of Frankincense in a veggie capsule to promote a healthy cellular function. Make your own cleaning products. Recipes here. Add a few drops of Lavender to your pillow or bottom of your feet for a good sleep. Make your own natural lip balm. Add a few drops of Lavender to shea butter, jojoba oil or coconut butter/oil. Gargle with a few drops of On Guard as a mouth rinse for an irritated throat. Make your own teeth whitener. Mix a few drops of Lemon, baking soda and coconut oil and rub on your teeth for 2 minutes and then rinse. 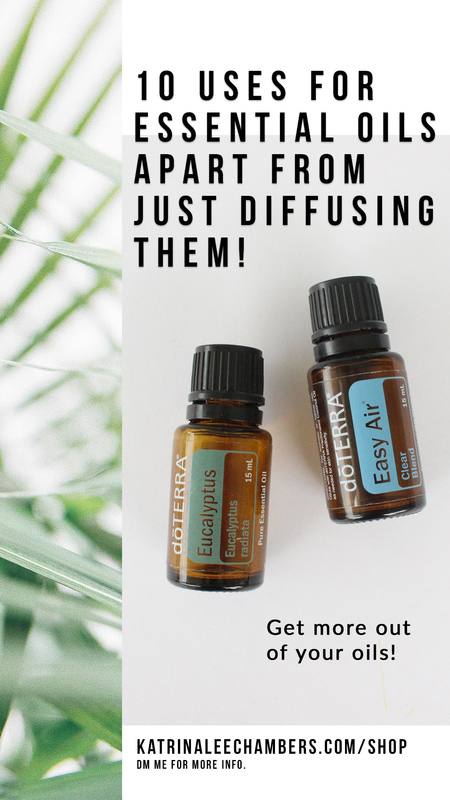 Make your own roller bottle of diluted Easy Air and Eucalyptus with coconut oil for seasonal respiratory support. Use Tea Tree for acne. Dab on affected areas. If you have an occasional stomach upset, add 1 drop of DigestZen to your glass of water and drink. My 3 favourite roller bottles are the ones pictured below. I am using Clary Calm, Past Tense and Frankincense every day. If you want an emotional breakthrough, if you want to regulate your moods, if you want to stop feeling so cranky and uptight, then you need these awesome little bottles in your handbag. I carry them everywhere. I don’t know why I wasn’t using them sooner – especially when I was so unwell! Clary Calm is my daily (or 3 times a day!) oil. It helps to promote a balancing effect on emotions and is designed specifically for women for those up and down cycles. Past Tense is for tension and stress. Rub on your temples or back of neck and within minutes you’ll feel the cooling effect. I sometimes get random hot flushes too, so this WORKS. Frankincense is the king of oils – it’s spiritual and enlightening. It will help with mood and feelings of overwhelm. I also use it on my skin for cell repair. I am loving Frank more than anything. If you are looking for essential oil blends for your immune system, moods, sleep… you’ll find a pile of them here. If you’d like to read 100 uses for your essential oils then here’s a document you can download and save to your computer. I use and love doTERRA Essential Oils. YOU can purchase oils with a 25% discount – anyone can have a wholesale account. There’s no minimum spend and there’s never any obligation to make another purchase if you don’t want to. You do NOT need to place an order every month or on-sell to friends or family. You simply get to save 25%. More here.